Vakhtang Kakhidze was born into a family of musicians in 1959 in Tbilisi, Georgia. He began to study music in age of 6 years as a pianist. In 1975 he finished choir conducting department of Music High School. In 1981 he graduated from Moscow State Conservatory as a composer, and in 1983 he finished the post graduate courses of the same institute. His teachers were such famous musicians as Nikolai Sidelnikov - composition, Edison Denisov - art of instrumentation and others. 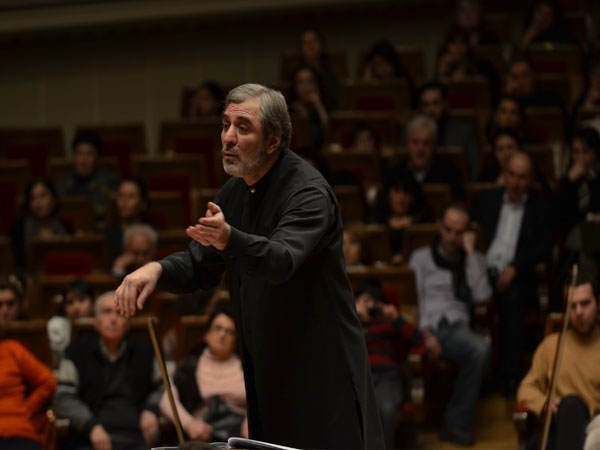 As composer Vakhtang Kakhidze works in different musical genres. His pieces were performed in Moscow, Petersburg, Poland, Bulgaria, Slovakia, Romania, Hungary, Finland, UK, Greece, Spain, France, Italy, Germany, Switzerland, the Netherlands, Turkey, Israel, India, the USA and Japan. He is an author of music for more than 60 drama performances, soundtracks for 20 films and animated cartoons, several jazz compositions and pop songs. 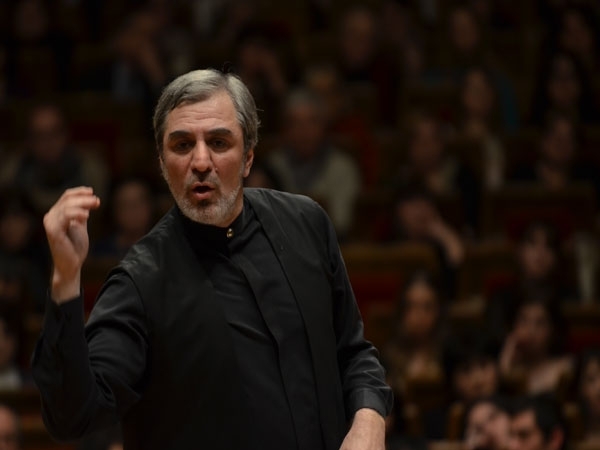 Vakhtang Kakhidze studied conducting in 1987-89 with his father, world famous Georgian conductor Djansug Kakhidze. In 1989 he started his activity as a conductor. His debut took place in Tbilisi Opera and Ballet Theatre, where he has conducted several performances of his ballet “Amazons”. From 1993 he worked as conductor of Tbilisi Symphony Orchestra. Beside concert performances he recorded 25 CDs for famous international sound-recording companies as “Sony Classical” and others. 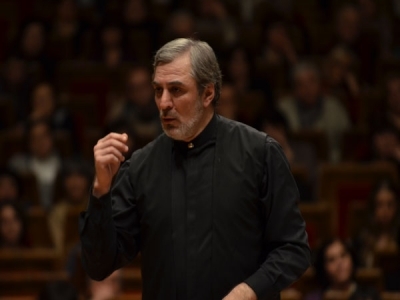 In 2002 Vakhtang Kakhidze was appointed a Chief Conductor (Music Director) of Tbilisi Symphony Orchestra and Artistic Director of Djansug Kakhidze Tbilisi Centre for Music & Culture. 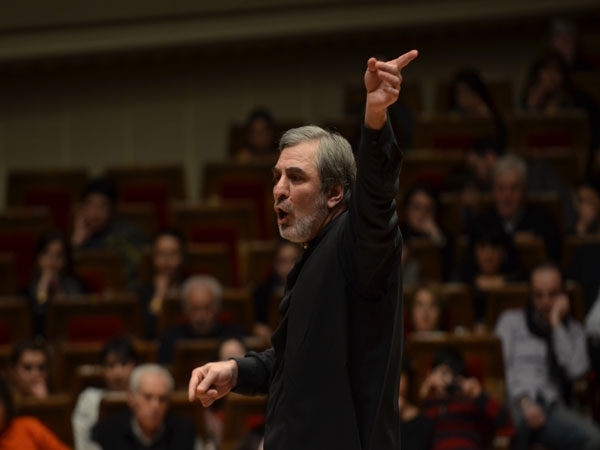 During these years he conducted around 400 concerts with Tbilisi Symphony orchestra in Georgia and other countries: Russia and Italy (2004), Armenia (2009), Israel (2016), Germany (2017/2018). 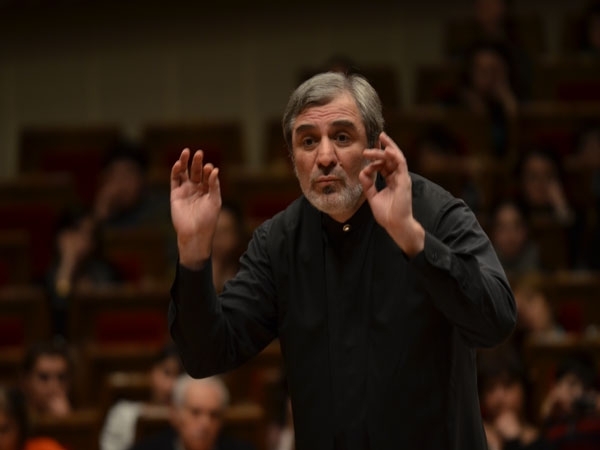 As guest conductor Vakhtang Kakhidze performed with such well-known orchestras and ensembles as: Kiev Symphony Orchestra (1994), chamber orchestras “Moscow Soloists” (1997-2005), Prague Symphony Orchestra (1997), “Kremerata Baltica” (1999), Symphony Orchestra “New Russia” (2003-2005), Beijing Symphony Orchestra (2005), Paris Trinity Church Choir and Orchestra (2006), German Ensemble “Del Arte” (2006-2008), Israel Chamber Orchestra (2006-2009), L'Orchestre Royal de Chambre de Wallonie (2008), The Israel Camerata-Jerusalem (2010-2014), Jerusalem Symphony Orchestra (2016-2017), Northwest Deutsche Symphony Orchestra (2017) and others. 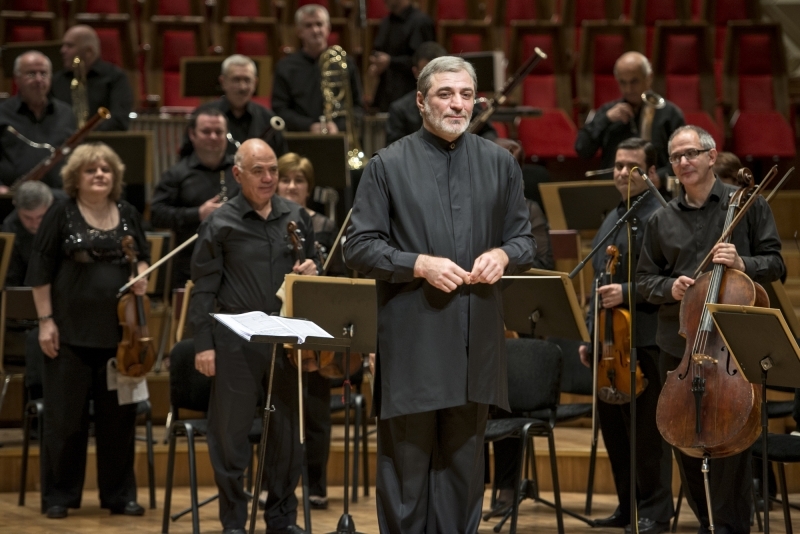 Since 2002 Vakhtang Kakhidze leads annual International Music Festival “Autumn Tbilisi” (September-October), which hosts famous musicians all over the world. In 2015 he established ”Djansug Kakhidze International Music Festival”, which is orientated on collaboration of Tbilisi Symphony Orchestra with World Stars of Jazz and Pop music. Viola - Yuri Bashmet, Wilfried Sctrehle, Danilo Rossi, Jean Pascal Osvald, Milan Radic. Cello - Natalia Gutman, Alexander Kniazev, Gary Hoffman, Emilia Baranowska, Zvi Plesser, Kerstin Feltz, Alexander Huelshoff, Beate Altenburg. Nino Gvetadze, Dudana Mazmanishvili and others. Aglatova, Nino Surguladze, Ketevan Kemoklidze, Zurab Sotkilava, Badri Maisuradze,George Oniani, George Gagnidze, Lado Ataneli, Ramaz Chikviladze, Etty Ben Zaken. “ The Swingles”, Bob James, Dee Dee Bridgewater, Patti Austin and others. Eitan Steinberg, Yaron Gotfriedand and others. Ensembles - Sextet of “Moscow Virtuosi”, “Storioni Trio”, “Janoska Ensemble”, “Bamberg Trio”, World Quintet “Kolsimcha”, Ingolstadt Georgian Chamber Orchestra, Swiss Army Brass Band and others.